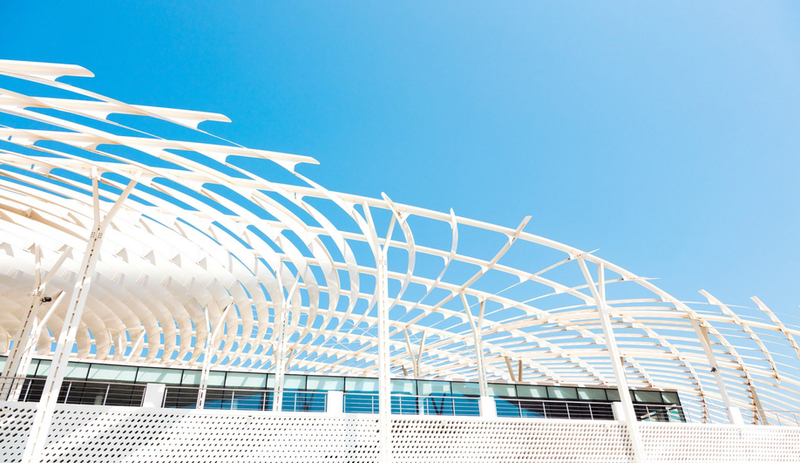 Snøhetta’s Muttrah Fish Market is a concrete structure with a slatted canopy that mimics Arabic calligraphy. The Muttrah district, located in the Muscat province, has long been one of Oman’s key commercial centres. 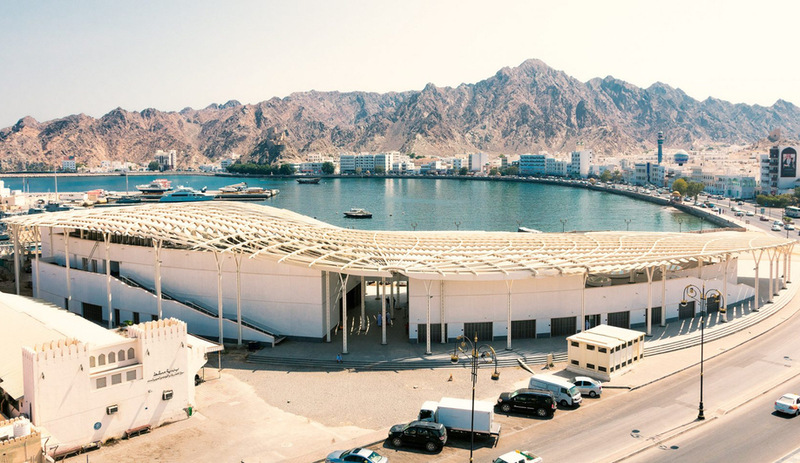 For good reason: it’s connected to the nation’s largest harbour, and it draws visitors equally for its beauty – it’s perched on the Gulf of Oman and rimmed by mountains – and the Souq Muttrah, a celebrated traditional Arab market. 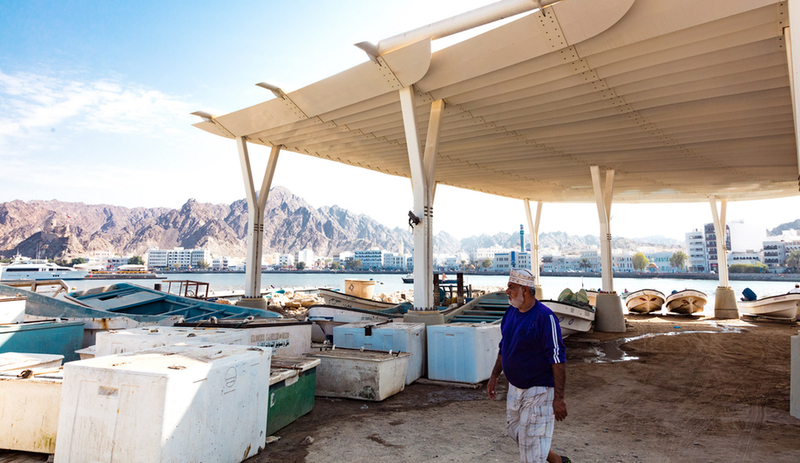 Steps from the bustling souq, however, is the Muttrah Fish Market, a key hub for the region’s fishing industry – and one that has been redeveloped by Norwegian-gone global architecture firm Snøhetta. 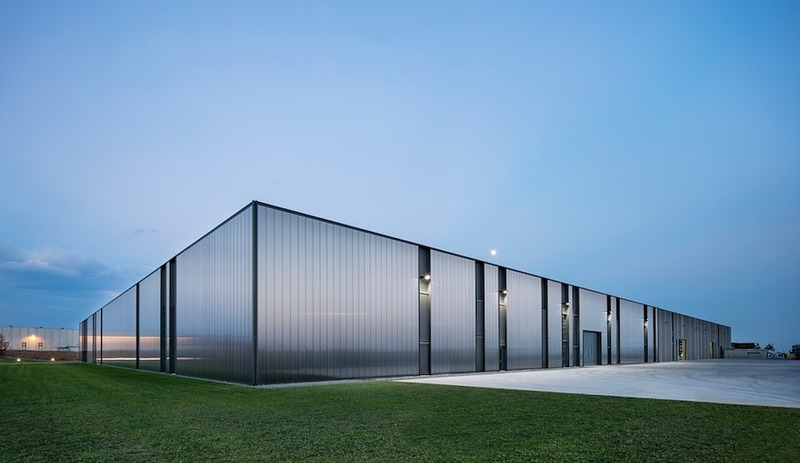 Snøhetta replaced the original fish market, built in 1960, with a 400,000 square-metre building that it hopes will become meeting place for the local community and tourists alike. Construction began in 2009; the market opened for business in August 2017. 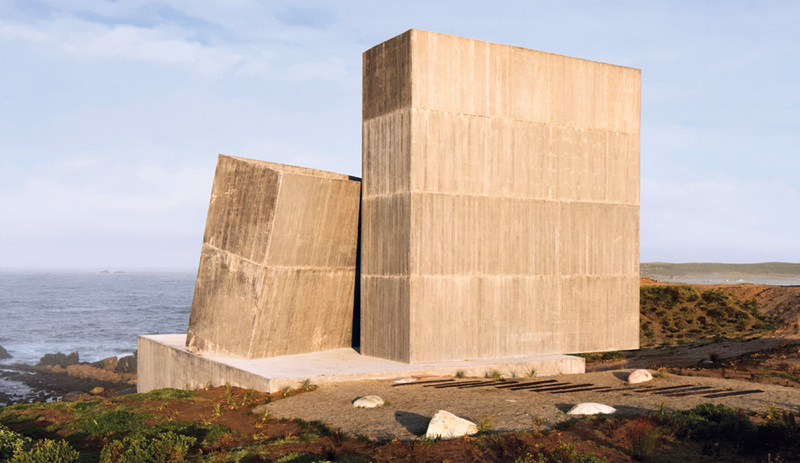 Located on a wedge-shaped plot adjacent to the Gulf of Oman, the market is a deceptively simple concrete structure – though it has several standout features. 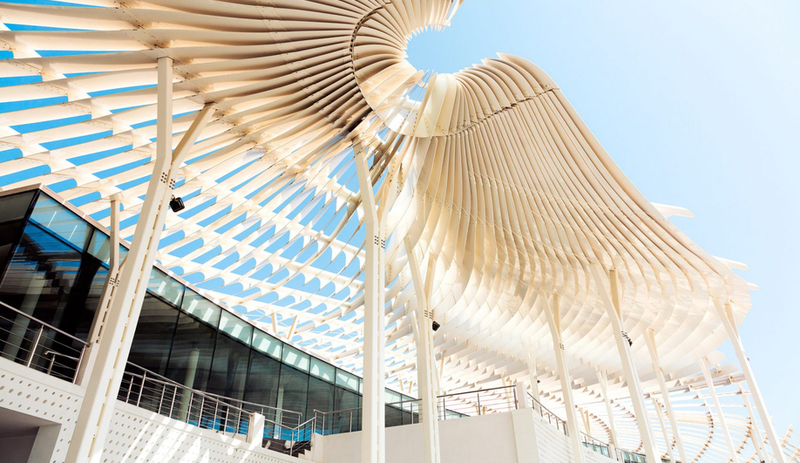 From afar, the curved northern spine of the building follows the contours of Muttrah’s corniche, “interconnecting the city, the mountains, and the waterfront,” Snøhetta says. 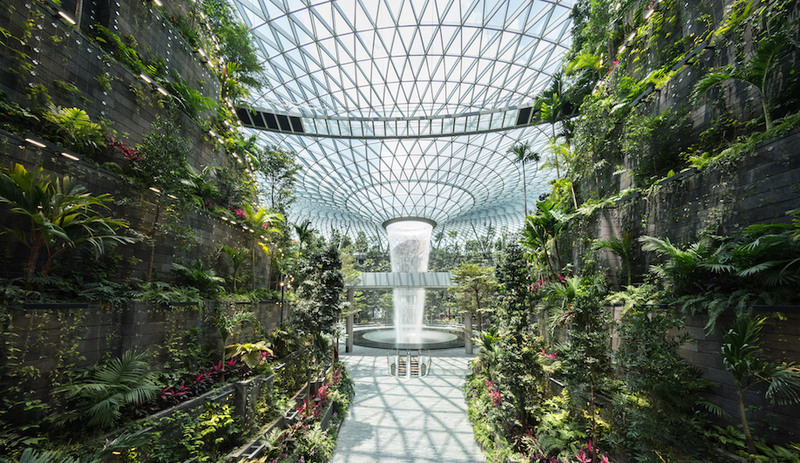 At a closer range, double radial walls reveal themselves; some walls feature hexagonal perforations, allowing natural light within. 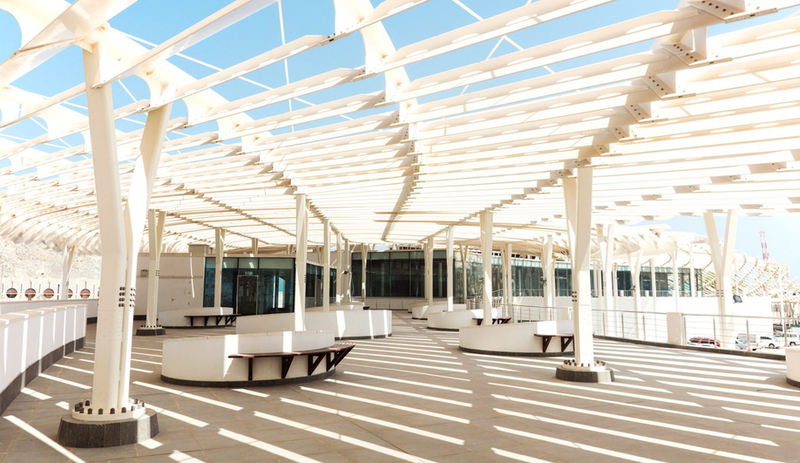 Exposed staircases lead up to the building’s terrace, drawing the eye to the market’s most prominent feature: its slatted canopy, which the firm says was made to mimic Arabic calligraphy. 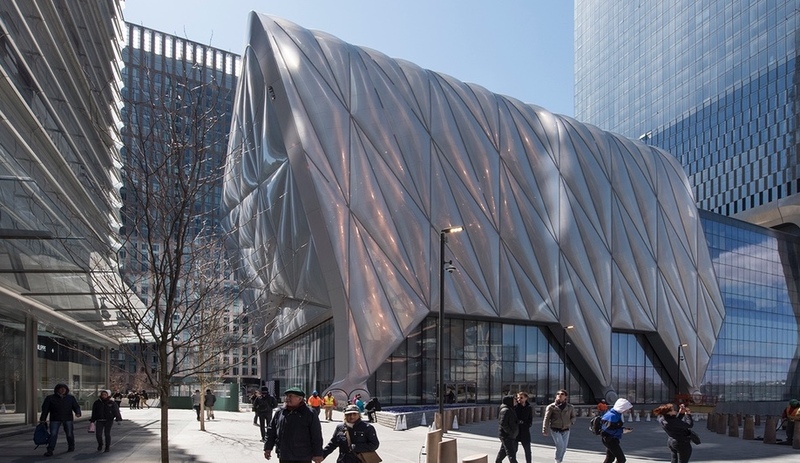 The aluminum fins, which rise from the building like wings, provide shade, ventilation and a striking contrast to the solidity of the concrete building below. 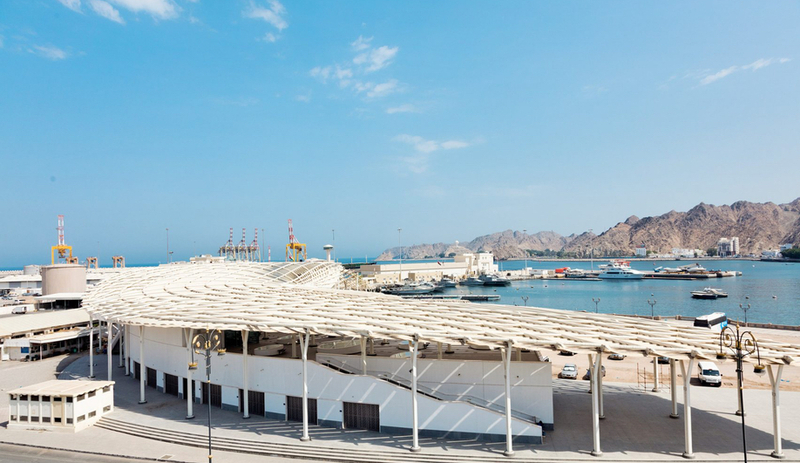 Snøhetta’s design for the Muttrah was to “sympathetically unite the old and the new.” And while the building’s exterior is undoubtedly contemporary – as are the additions of offices, a rooftop restaurant, a coffee shop and a produce market – inside, its function is decidedly traditional. 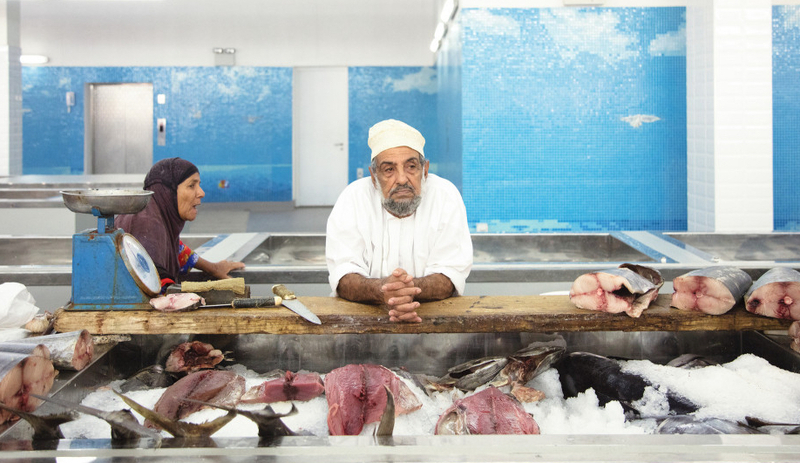 With 100 fish vendors and cutters in-house, this is still very much a marketplace.